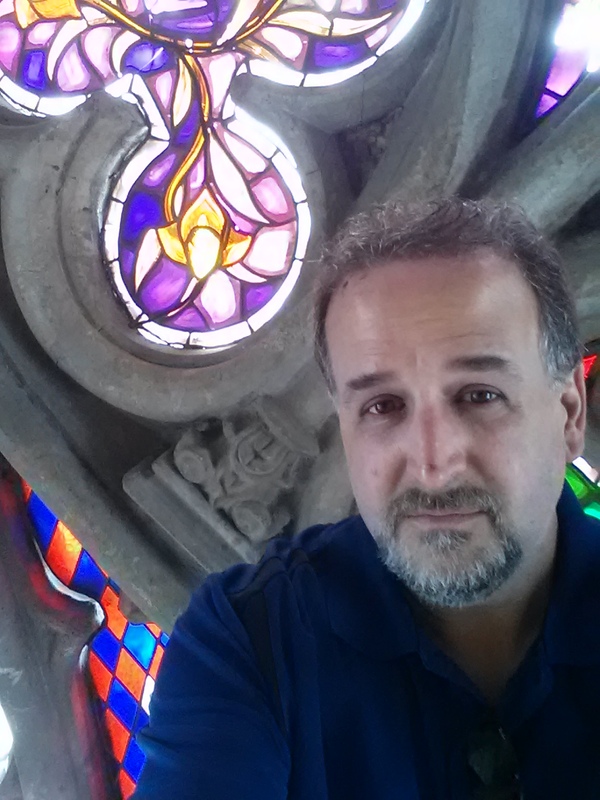 Annie’s Book Stop of Worcester is happy to host Scott Goudsward on our Author Spotlight blog! Goudsward is the events coordinator for New England Horror Writers and has helped ABSW out on many events over the years. We’re very happy to have him here today! Hi, Scott! For those who don’t know you, can you please tell us briefly a little about yourself and your writing? Hi, I write horror. Sometimes a little sci-fi (not syfy) and fantasy. My second novel (zombies) is due out any time now: Fountain of the Dead from Post Mortem Press. My first novel, Trailer Trash, just went into its third printing. I tend to stick to the “monsters” of horror; it is what I grew up on. Recently, I’ve been writing a lot of “Weird / Lovecraftian” stories and even sold a few of them. I started the whole writing thing in ’92, and I’m waiting for it to take firm enough hold so I can walk away from my day job. And I’ve been well adjusted ever since. What kind of research went into writing Fountain of the Dead? What is your favorite research story? What cool facts and findings didn’t make it into the book, but you loved discovering? One of the cool things about this book (at least I thought was cool) is that the route that the zombie apocalypse survivors take from Boston to the Everglades is real. I tracked the thing on Google maps and looked for where they could stop, how much extra time would be added to the trip if they veered off one way rather than another, and how much time would be lost if they had to take detours. So you can follow the directions in the books (I wouldn’t recommend it) and drive from MA to FLA.
What was the inspiration for [newest release/series release is part of/spotlighted release]? What were the steps you took to bring it from initial inspiration to the finished book? I actually wrote this in 2011 as a Nanowrimo project, and after I completed that challenge, I finished the book a short time later. I sold it to a small press that specialized in Zombie fiction. The owner (sadly) had a physical and mental breakdown a month after I signed, and all communications stopped. The book went out of contract after rotting for 11 months in limbo. A few years later, Post Mortem Press—I met the owner Eric Beebe at Anthocon—was putting out zombie novels and had an open call. So I took a chance and pitched it. I already had one book out with them (Horror Guide to Massachusetts), and he took it. I’m currently on the final-final-final-final draft. One more pass (I hope), and it’s ready for its new home. I’m hoping to drop it in November. What is your favorite part of being a writer? Of the whole writing and publishing process? What do you think has been your greatest lesson in the journey thus far? Meeting and talking to other writers. Just because you think it’s perfect doesn’t mean it is. Get beta readers, get editors (who won’t destroy your wallet), and get a GOOD critique group you can share with. How important has the New England setting been to your writing? Very, almost everything I write is set in New England. For some of the longer pieces, I use a mash-up of three local towns. I know New England, and I’m familiar with it. If I were to suddenly start writing about…Montana, it would seem forced and it wouldn’t flow. Read everything, Read outside your genre. Always have a book or 4 started. Read more Bradbury. 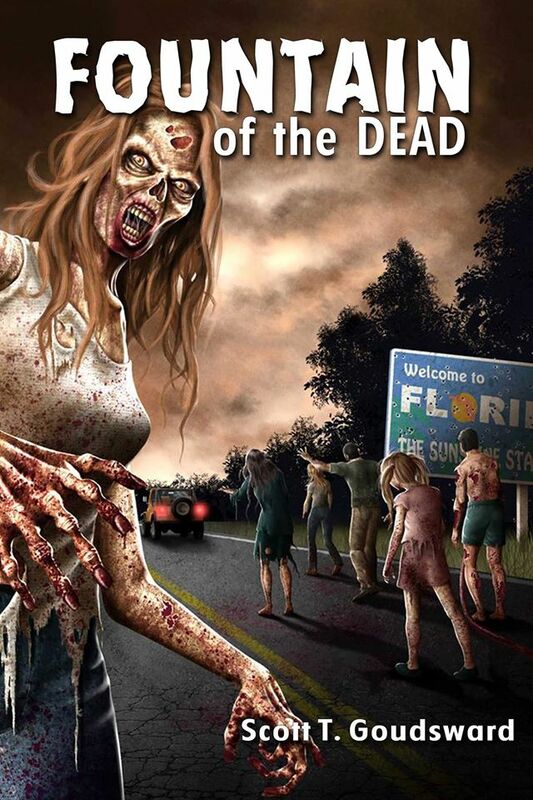 This novel: Fountain of the Dead, a new Non-Fiction book co-written with my brother, David: Horror Guide to Florida. I have several sold short stories “due out,” but I don’t have dates yet. What are some of your writing-related hobbies, crafts, addictions? I really like going through old cemeteries and taking pictures. I need to do it more often. There are so many of them to explore. I go through stages. I need room to pace. Even if it’s only 10-15 feet. I used to write solely to Classical music; that stopped. Then I started writing to movies on the TV; that stopped. Now I have to have the TV on—I usually look for a long movie—and I mute the TV. I have a playlist on Pandora of progressive metal, so Kamelot, Dream Theatre, Nightwish, Dragonforce, Blind Guardian, etc, etc. The majority of my work is available on Amazon as print/kindle and there are a few copies up on B&N. But I would definitely buy them through Annie’s. Show indie book stores some love. I don’t have a blog page or mailing list (Bad Scott!) I tend to spam the bejesus out of new happenings, events, and sales on FB and sometimes Twitter. I will also put news out through the New England Horror Writers Newsletter. This entry was posted in author spotlight, Friday, interviews, Spotlight and tagged Author Spotlight, horror, local author, New England Horror Writers, Spotlight, zombies. Bookmark the permalink.